Lossiemouth residents are being urged to help keep their prized shoreline spick and span. The town’s West Beach will get a thorough clean on September 19 as part of the Marine Conservation Society’s (MCS) Beachwatch campaign. It is aimed at tackling coastal pollution and maintaining attractive shorelines around the UK. Staff at Silver Sands holiday park are leading the beach clean-up. The park’s general manager, Rebecca Grant, said she would like to see a large number of volunteers lend a hand to make the clean successful. As an incentive to get involved, all volunteers will be rewarded for their efforts with a free bacon roll and a cup of tea in the park restaurant. MCS surveys have recorded a steady increase in the volume of beach litter since 1994. Ms Grant added: “The tide of litter washing up on our shores is not just unpleasant to look at, it can harm and even kill some of our best-loved marine wildlife. 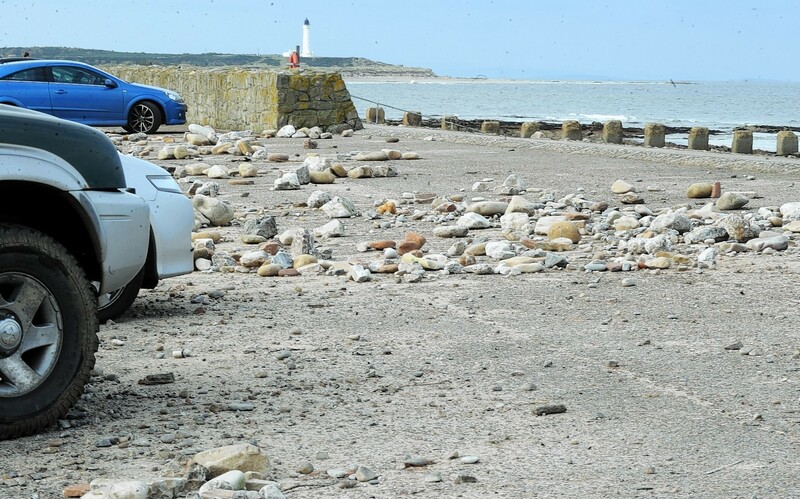 Lossiemouth community council chairman, Mike Mulholland, called on residents to “roll up their sleeves” and protect their picturesque holiday spot. The event will start at 10.30am and volunteers are being asked to meet at the dunes complex on Silver Sands.